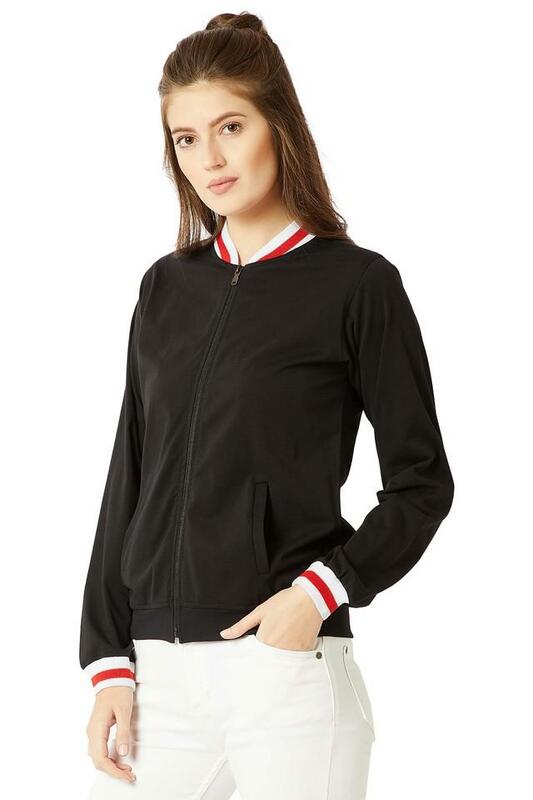 Bring out the style queen in you by wearing this Rib detailing bomber jacket from the house of Miss Chase. It is crafted with care using fine quality cotton fabric, which gives it a good finish while also ensuring easy maintenance. 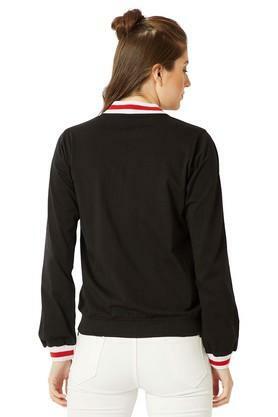 Besides, it features a solid pattern, which is further complemented by a fine color combination. 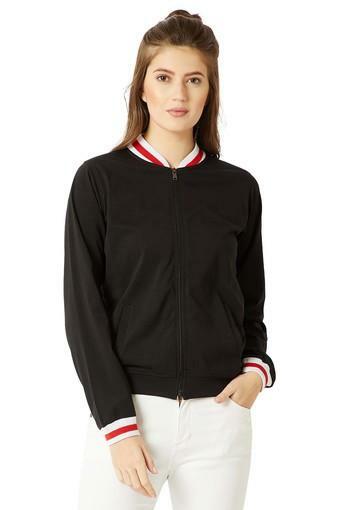 Team your beautiful outfits with this Rib detailing bomber jacket. In a rich shade, it can be teamed up with versatile top wear like tops, tees and blouses.